How does a mortgage work? It might sound like a silly question, but it’s a question we’re all likely to have asked ourselves at some point. Of course, you probably know that a mortgage is a loan used for buying a house that you pay off over a number of years. However, if you’re yet to take those first steps on the property ladder, you’ll likely have some questions. We’ve covered some tips for first-time buyers before. However, if you’re reaching the stage where you’re actually looking to get a mortgage and buy the house of your dreams, we’re here to answer any burning questions that you might have. How much you can borrow when you take out a mortgage depends on two main factors: the size of your deposit and what your lender believes that you’re able to afford. Budgeting for a new house should be your first port of call; by getting your finances in order you’ll be on track to building a deposit in no time. The larger the deposit you have, the less expensive your mortgage will be, meaning it’s less of a risk for the bank or building society providing the loan. Not only will this keep costs down in the long run, but it’s also likely to give you more of a leg to stand on when it comes to any negotiations. While you can get mortgages with a deposit as low as 5%, we wouldn’t recommend it. In borrowing 95% of your home’s value, you’re not showing your lender that you’re in a particularly strong financial position. When it comes to a lender determining what you can afford, they’ll look at a number of qualifiers to work out your financial situation. Effectively, your lender will require proof that you will be able to make payments and this proof can come in many forms. You could be asked to show your lender a variety of factors that sum up where you are financially. This is likely to take the form of anything from bank statements and pay slips, to gym memberships, mobile phone bills and nursery fees. Talk to a mortgage broker to work out if there’s anything extra you can do to get your finances in order. A broker will also recommend lenders that can offer you the best mortgage loans for your specific situation, meaning that you can be sure you’ll afford any payments. Once a potential lender has assessed your day-to-day outgoings, they’ll decide whether or not you can afford a mortgage. If you can, they’ll offer you a mortgage. Most mortgages last 25 years, while you’ll be tied into a specific repayment contract for around 5 years. When you are first offered a mortgage, it’s likely that you’ll be given a discounted rate. This lures in new customers and can help save you a lot of money. However, when this deal runs out – usually after around 5 years – you’ll probably be moved to the lender’s standard variable rate. If it is a worse deal then you may wish to remortgage. Aside from the discounted rate that many lenders will offer when you take out a mortgage, there are two main types of mortgage available: variable rate and fixed rate. Both types of mortgage have their pros and cons – there’s no definite better or worse – and which one you decide to go for depends on both your own situation and current Bank of England interest rates. A variable rate mortgage is a loan in which the interest rate changes based on the interest rates of the Bank of England. When interest rates are low, your repayments will be low, and vice versa. The problem with variable rate mortgages is that you’re locked into a contract for a specified amount of time where you could find yourself paying a lot more than you originally expected. However, if interest rates go down you’ll be paying less and less. As the name suggests, fixed-rate mortgages are, well, fixed. The repayment rate you are quoted when you take out the mortgage will be the rate you continue throughout the term. Of course, this is great when interest rates are low and due to rise as you’ll be getting a much better deal than those on variable rates. However, if interest rates fall during your fixed term, you’ll be stuck paying more than you ideally should be. Once you’ve decided on the type of mortgage you want, you may be wondering how the repayments work. As with the rates that determine how much you’ll be paying, mortgage repayment plans come in two dominant types: capital repayment mortgages and interest-only mortgages. Capital repayment mortgages – also known simply as repayment mortgages – have you paying off both the interest of your loan each month, as well as the capital value of the house. This type of repayment is the most popular of the two. Your monthly payments are calculated to make sure that by the end of the mortgage term, you will own your house. Interest-only mortgages are far less popular than their repayment counterparts. While cheaper (as you only pay the interest of the loan), when the term is up you will have to find another way to pay for your house. If you borrowed £100,000 as a repayment mortgage, you would owe nothing on the property by the time the mortgage came to an end, if you borrowed the same amount interest-only, you’d still owe £100,000 at the end of it. Due to the risky financial situation that you put yourself in when taking out an interest-only mortgage, they are often very hard to be approved for. Lenders will make sure that you have a suitable financial plan with which to pay off the loan at the end of your term before the mortgage begins. For this reason, they are often more popular with buy-to-let purchases. If you are approved, expect them to check that you are still on track to make the payment at least once during your mortgage’s lifespan. Some lenders will offer combination repayment options. These allow you to split your payments; paying some of the loan off on an interest-only and the rest as a full repayment mortgage. Ask a mortgage broker for advice on which repayment would be best for your situation. 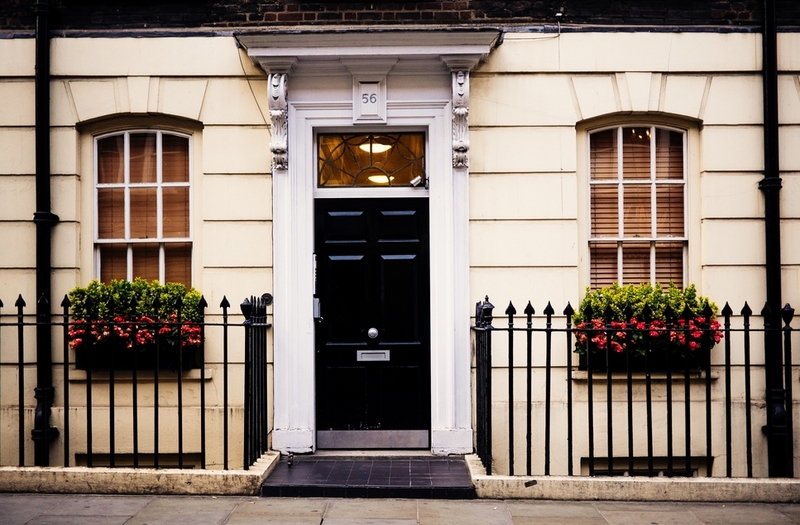 If you have secured a mortgage but find yourself unable to keep up with your repayments, whether that be monthly or a lump sum at the end of an interest-only loan, you could face repossession. If you are behind on your mortgage payments, you have some leeway; just be sure to contact your lender as soon as possible. Your lender is required to reconsider the ways you are able to pay your mortgage and offer you other options. They must also give you 15 working days warning if they plan to start legal proceedings, giving you time to find support for yourself. A mortgage lender may offer you an extended time over which to pay your mortgage with reduced repayments. However, what your lender offers may not always be in your best interests, so it’s important to seek impartial financial advice before going through with anything. If the worst comes to the worst, you could choose to sell your home as a last resort, but ensure that you have somewhere to move to if that is the case. Otherwise, you could find your home repossessed to clear any outstanding debts. For more information on the different types of mortgages, how they work and which one would be right for you, get in touch with the IMC team. We’re impartial financial advisors who specialise in the mortgage sector.